Thread: What are you raising right now? ooh well done getting mastemon! Vpet 20th Black : Double Dracomon. Need more time to evolve. Pendulum 20th Black : Mastemon is so cool, My Caprimon evolve to Phascomon. In 6-7 hours, i hope it evolve to MadLeomon for confirming the Pendulum20th guide for 20th NSo Egg. I get Ogudomon after waiting astamon evolve to Belphemon RM. Currently running two 20th Originals(Alphamon and Omegamon vers) and a 20th Pendulum(Blue and Silver). Greymon and Dorugamon on the Black and Gold, Omegamon Alter-S(currently 30 days old) and Hackmon on the Omegamon ver, and Zudomon and AeroVDramon on the Pendulum. My wife is running a Zubamon ver. Original with Omegamon Alter-S and Mugendramon, and a 20th Pendulum(Black and Silver) with Tailmon and Impmon. Agumon and BushiAgumon are looking good together! 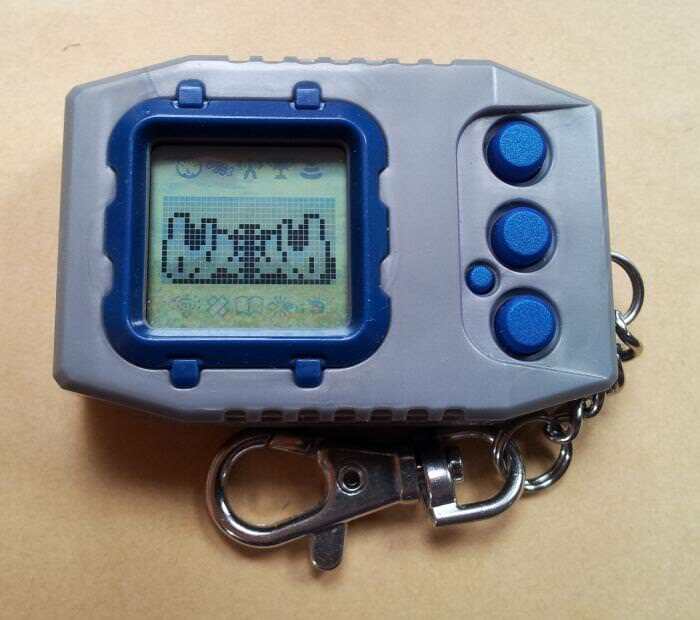 I am currently raising an old school v3 v-pet. My digimon is currently a Patamon, but I am aiming to get Etemon.